The battle for the SCEL Premier Division title is a very tightly fought affair so far with just seven points separating AFC Croydon Athletic in top spot and sixth placed Hollands and Blair. The Rams lead the division but could be overtaken by currently fifth Sevenoaks Town if they win their three games in hand. The Oaks were promoted to the then Kent League in 2003 and have since achieved a best placed finish of fifth place last season so this campaign could well be a record breaking one for them. 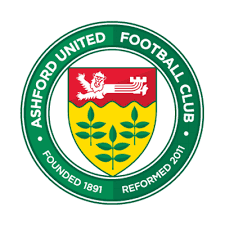 Ashford United, formed in 2010 after Ashford Town (Kent) went into administration, have been knocking on the door of promotion to Step four since joining the league in 2013 finishing in 2nd, 2nd and last season 3rd place. Could this season be the one for The Nuts and Bolts as they are nicknamed? Crowborough Athletic are the form side in the current top six having won all of their last six league games. 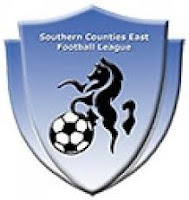 In 2008/09 they did spend one season in the Ryman League Division One (South) having won the Sussex County League - they were relegated winning only four of forty-two games played and conceding 125 goals. Since moving over the SCEL they have finished 10th and 7th so this season is a real improvement in form. Their form looks even better when you read that two of the six wins have come against Sheppey United and Ashford Town. The history of football on the Isle of Sheppey dates prior to 1890 (there was a club named Sheppey Rovers also) when the original Sheppey United FC were formed following a merger between Sheerness Victoria and Invicta. The club played in the Southern League between 1894 to 1901 which was then one of the strongest leagues in the country and also competed between 1927 to 1932 and 1984 to 1990. Over the past decade or so it's been a little complex - The club was disbanded in 2001 and reformed in 2003 competing in the Kent County League Division Two (East). In 2007 there was a name change to AFC Sheppey followed by a change back to the original Sheppey United in 2010 and a resignation for the KCL Premier midway through the 2012/13 season. In 2013/14 'Sheppey and Sheerness United' formed as a result of another merger between 'Sheppey United' and 'Sheerness East' who had been members of the KCL since 2002. 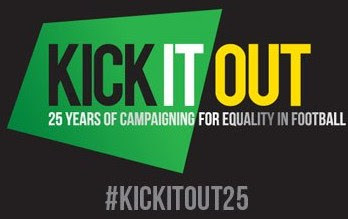 The name was then changed back to Sheppey United at the start of the 2014/15 season where they spent two campaigns in the Kent Invicta League which merged with the SCEL to form the SCEL Division One during the summer. Happily now the club has a newly developed ground at Holm Park and has ambitions to play higher up the non-league pyramid. Everyone associated with the club will be pleased to be in fourth place after fourteen games played in their first season back at this level of football since 2001. They would of enjoyed the 1-0 home victory over their rival's from across the water in Whitstable Town on Saturday 29th August. The population of the Island is around 40,000 people so I think with some hard work both off and on the pitch their no reason why there couldn't be a team a few levels up the English football system. They have an average attendance of 329 for their league games so far which is a figure which beats over half the Ryman Premier - 465 saw their recent game against Tunbridge Wells. The eagerly anticipated Boxing Day home clash with Ashford United will attract a massive festive crowd to Holm Park and I think will easily break the 500 mark. 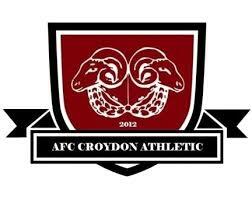 The current table topper's AFC Croydon Athletic are one of the many recently 're-formed'* clubs in the division like the above mentioned Sheppey and Ashford United - there is also Canterbury City (folded 2001 and reformed in 2007) and Fisher FC (formed after the demise of the famous Fisher Athletic in 2009). After coming runner's up in the Combined Counties League Division in 2014/15 the club were moved across to the SCEL Premier for 2015/16 and finished in 11th place last season. Their only two league defeats so far came on their opening fixture at Whitstable Town and more recently at the start of October against Hollands and Blair. 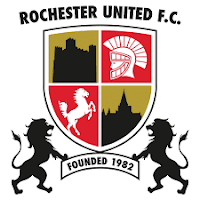 Rochester United, currently in ninth place, last two home games have been very heavy defeats against Ashford United (0-8) and Canterbury City (0-5) which had dented their goals against column somewhat making them and Corinthian the only teams in the top twelve with negative GD. What is wrong in my book is that a City the size of Canterbury (population around 55,000) has a football team, after they were re-formed in 2007, but at present they have to ground-share with Ashford United which is around a thirty mile round-trip for each 'home' game. Since 2007 they initially played on pitches in the villages of nearby Bridge and Hersden moving to ground share with Herne Bay as they moved up the pyramid structure - They have shared with Ashford since the beginning of 2014/15. The club's former home at Kingsmead Stadium was closed in 1999 and now, like many old football grounds, is a housing estate. The good news is the council have been working with the club to secure a new home in Hersden - there is still along way to go but hopefully they will have their own stadium soon. Canterbury City this season are unbeaten in their last ten league and cup games and have an intriguing tie in the next round of the FA Vase in a clash of the Cathedral City's when they visit Chichester City on Saturday 12th November. 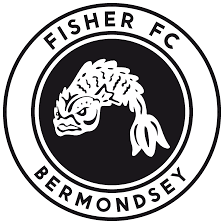 At the wrong end of the table it's been a great season off the field for Fisher FC who have moved into a new home only a stone's throw from where Fisher Athletic's old Surrey Quays Stadium stood. Now managed by non-league legend Gary Abbott they have only one league win in sixteen games played - which came at Erith Town on Friday 2nd September. They have had two good wins recently in Cup Competitions both against teams from the SCEL Division One. Snodland Town were beaten 4-0 in the SCEFL Cup and Lydd Town left South London on the back of a 5-2 defeat in the Kent Senior Trophy. They have a very tough game on Saturday when one of the form sides in Sevenoaks Town visit. 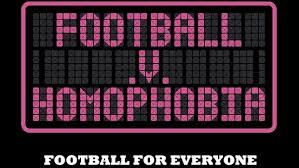 * CROWBOROUGH ATHLETIC, HOLLANDS & BLAIR, ROCHESTER UNITED & CROYDON ARE ALL UNBEATEN IN AWAY GAMES. * LORDSWOOD HAVE THE WORST DEFENCE IN THE DIVISION LETTING IN 51 GOALS IN 15 GAMES. 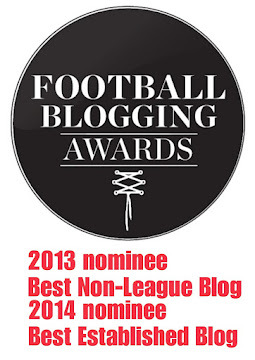 * WHITSTABLE TOWN and SEVENOAKS TOWN ARE THE ONLY TWO SIDES YET TO DRAW A LEAGUE GAME.